Everyone wants the very best for their children and we all know it's important that we encourage our kids to eat at least five portions of fruit and veg per day but often, it can be a real struggle. 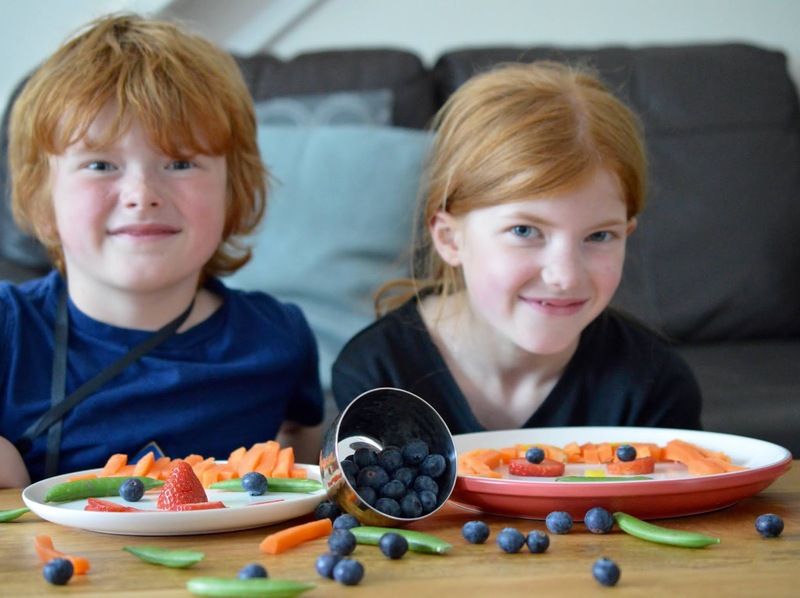 During the week, Harry, Heidi and Jack usually enjoy a piece of fruit during their morning break at school, another portion or two with their packed lunch or school dinner and then again with their evening meal. I would say they do manage to eat pretty healthily through the week when I'm usually at my most-organised. The weekends are a different story though. I'm a little more relaxed about what they eat and as they are at home, the dreaded 'can I have a snack?' will be asked on a regular basis throughout the day. Add to the mix that we often order a Saturday night takeaway and eat out over the weekend and I would say that we definitely could do better. Not eating the healthiest of diets over a weekend (and not just a one-off - this is normal behaviour for us) is something I've been conscious of for a while so when Beko invited us to join in with their #EatLikeAPro campaign, it was something I was keen to get involved with. I really struggle with consistency so with the help of this campaign, I'll be sharing a few ideas that I hope will encourage us all to #EatLikeAPro and achieve our five a day every day of the week over the next couple of months. 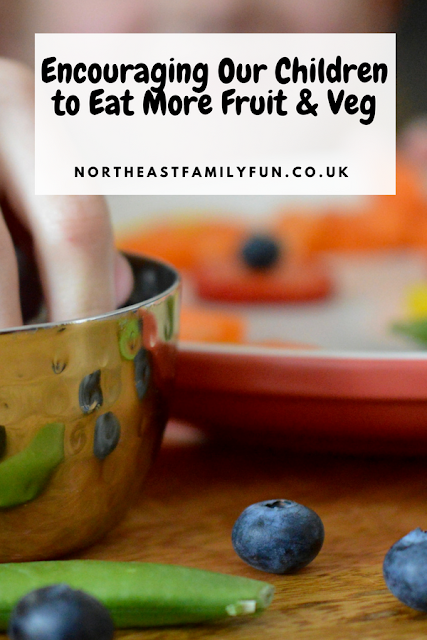 Encouraging not only our children but the whole family to eat healthy food on a consistent basis is a challenge and I'm sure there are many other families in the same boat as us. 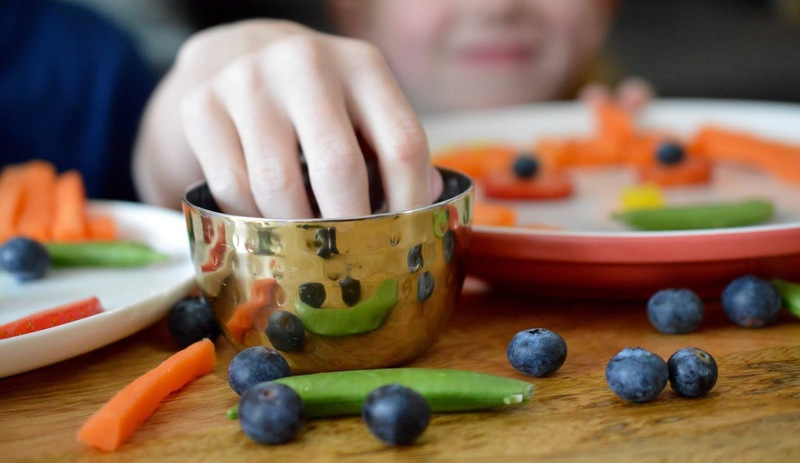 This is why Beko has commissioned research across 2000 parents (with children aged up to 10) to discover exactly what our children are eating. Beko's findings aren't really surprising to me if I'm honest. Key findings such as 41% of parents abandon attempts to encourage their children to eat fruit and veg because they just want them to eat full stop, 1 in 5 parents giving up because they're tired or in a rush and 85% of parents taking the time to explain how important a healthy diet is yet only half thinking these wise words actually have an impact ring true with me and all of these issues have been discussed in my circle of friends over the years too so I know I'm not alone in this. 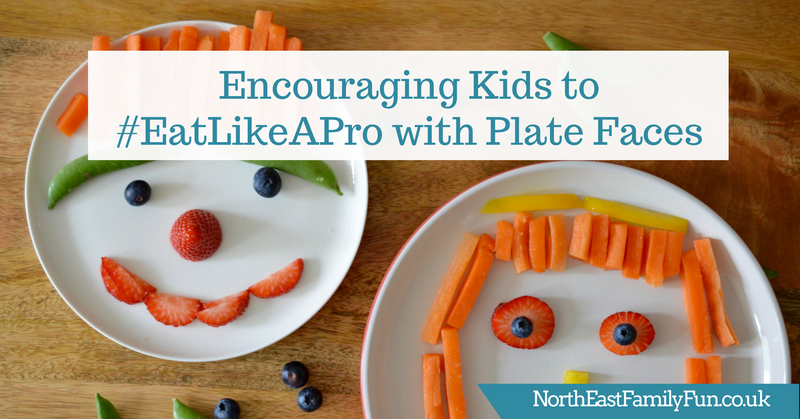 Beko's #EatLikeAPro campaign is a global initiative aimed at helping parents like myself feed our children more healthy food. They have teamed up with FC Barcelona to discover what the top players in the world eat every day to perform at their best. The aim is to make healthy food fun and exciting and with the use of Beko's wide range of appliances featuring smart technology, healthy food can be delivered at its best. 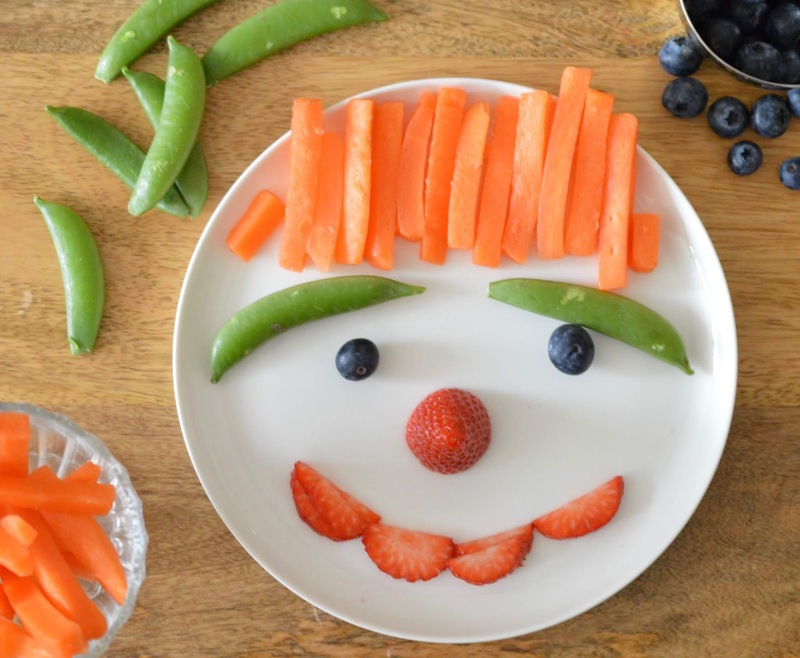 This weekend, I've taken inspiration from the Beko #EatLikeAPro microsite which is packed with healthy family recipes, ideas and inspiration and along with the kids, we created some fun fruit and veg plate faces as our mid-morning snack. 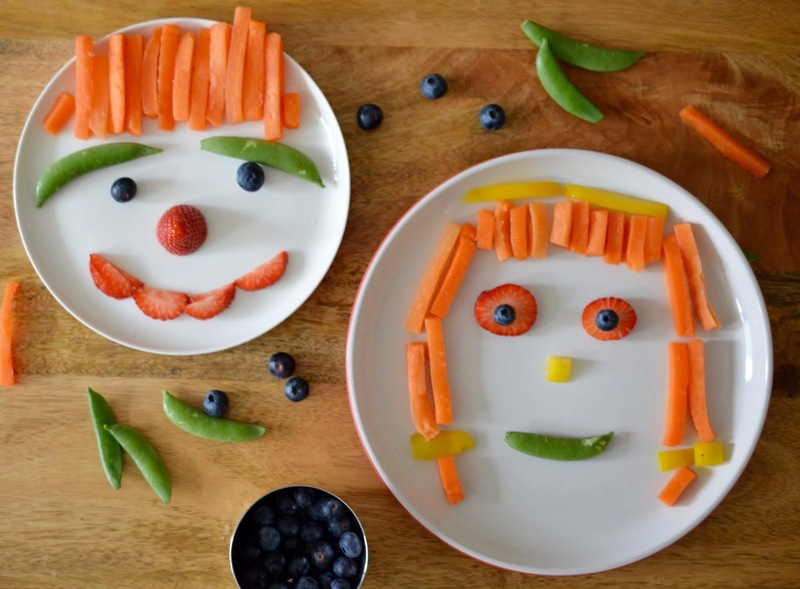 There are lots of plate face ideas here (the giraffe made from noodles is my personal favourite) but I just let the kids create their own masterpiece with a range of fruit and veg. 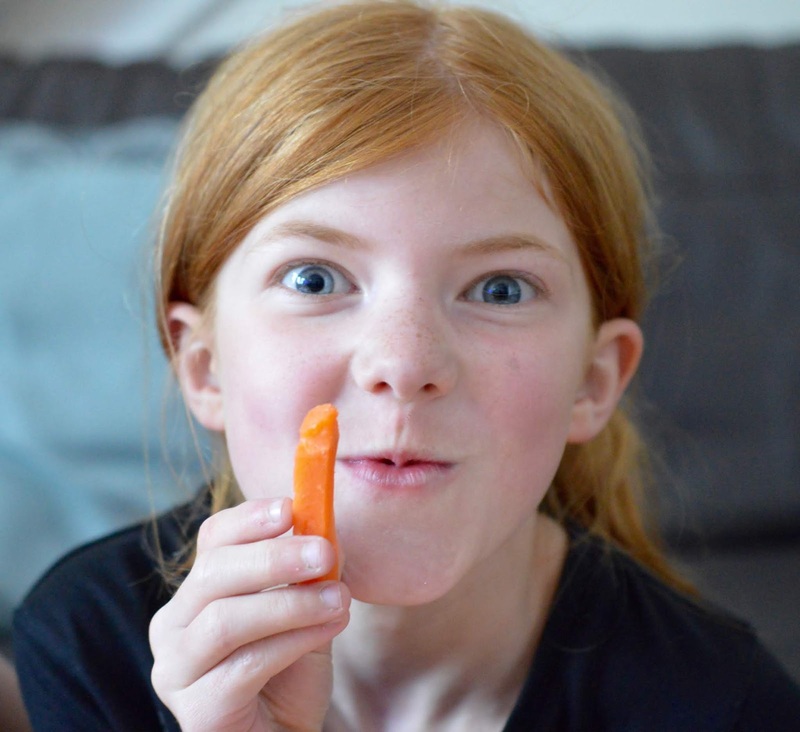 My children rarely eat raw vegetables so it was fab to see them using raw carrot sticks to mimic their gorgeous red hair and get creative with green eyebrows (thanks to sugar snap peas). As they were involved in choosing what was on their plate, they happily ate it all when they were done too. For me, it was important to offer the option of vegetables and salad rather than just fruit as I know they'd pick strawberries forever if they were given the chance and are always less likely to eat their veg. I also wanted to create a variety of colours so their plates were full of various vitamins and goodness. Beko's findings discovered that Brussel sprouts, cabbage and mushrooms were children's least favourite veg - maybe next time I'll sneak a couple of those in and see what their reaction is.